I came across an old friend of a post today about cornerstone content – it was written in 2011 by Joost de Valk over at Yoast. With a little bit of research, I’ve realized today that there’s precious little valuable information about what cornerstone content really is all about. Strange, considering there’s no dearth of content marketers out there. First things first, what exactly is cornerstone content? There are a lot of people advising other people about setting up their cornerstone content pages but how exactly is it made? 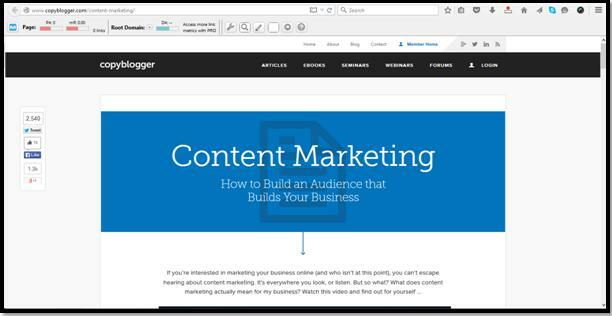 According to Neil Patel at Quicksprout “this is the content that will make up most of what you give your readers….it’s what defines you.” In other words, cornerstone content plays up on your core strengths and provides your audience with rich resources to use with no strings attached. For instance, for Techmagnate, our cornerstone content would be centred on digital marketing – specifically SEO – since it’s one of our core strengths. Do you necessarily need to reinvent the wheel when it comes to cornerstone content? Not really. Before you get cracking on creating new content, take a step back and see if you’ve written a variety of content that circles around your core strength. For example, digital marketing companies specializing in SEO can develop a flagship page that highlight their important blog posts, case studies created for client accounts and perhaps even a tutorial educating people on the importance of SEO and what the important ranking factors for it might be. Do you have a series of blog posts, infographics, e-books and the like that you can repurpose and align together with a single intent? Who does this content marketing thing better than Copyblogger anyway? When I went looking for samples of cornerstone content to share with you, a few names kept surfacing over and over, and Copyblogger was one of them and with good reason. Take a look at their cornerstone page. It’s a brilliant example of what a great page with cornerstone content should look like. It begins with establishing a need for content marketing and offering the interested target audience a way to get started with the entire process. The page offers great visuals coupled with valuable information and an easy way for people to access it. Another flagship page I absolutely adore is this one from The Creative Penn. Apart from the fact that it’s filled with resources that the site’s audience would definitely want, I also appreciate the fact that it doesn’t skimp on white space and doesn’t rely on category pages to do the bulk of the work. Make it worthwhile for your audience. Give them information that’ll actually prove to be useful for them. Go on, now. Get started. Good luck!